How to tie your leads and cables. 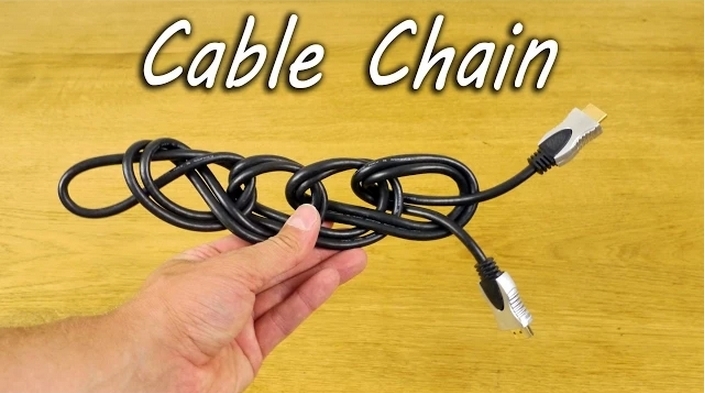 Keep leads neat and tidy with this simple cable chain. Perfect way to organize leads that are too long, or for storing cables. Stop them getting knotted and tangled together. Ideal for behind your TV or USB computer leads.